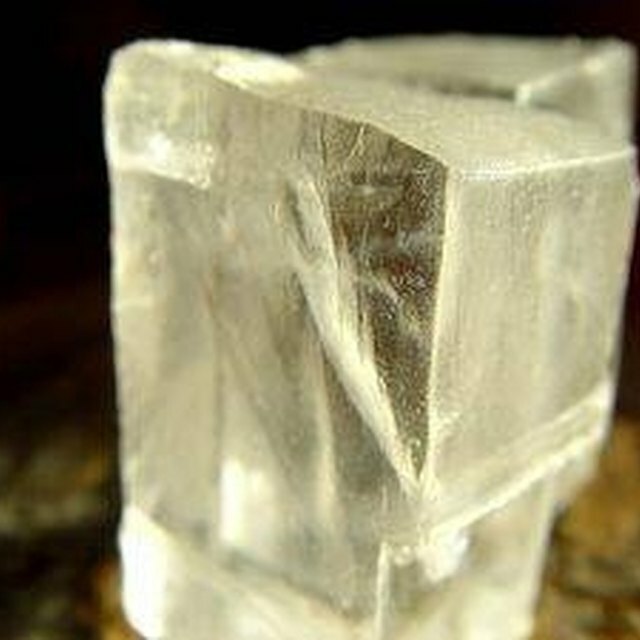 A crystal is a substance that is made of molecules that are arranged in a repeating, three dimensional, regular pattern. Two examples of common crystals that can be found right in your kitchen are sugar and salt. Put these under a magnifying glass and they will look like small cubes. If you or your child would like to examine crystals further or are interested in a science fair project you can easily grow your own crystals. Bring water to a boil and remove from heat. You can use any amount of water but one cup works well. Add one teaspoon of salt to the water and stir until dissolved. Continue this process until the salt no longer dissolves; the solution is then saturated. At this point you will notice salt on the bottom of the pan. Pour the salt water solution into a clean glass jar. Tie a string onto the middle of a pencil leaving one end of the string slightly shorter than the depth of the jar. Place the pencil across the top of the jar with the length of string hanging in the center of the jar. Put the jar in a cool dry place and leave it undisturbed until the water evaporates. This will take approximately one week. Gently pull the string out of the jar. There will be salt crystals on the string. There may also be salt crystals on the sides of the jar. Tie a paper clip to the end of the string. 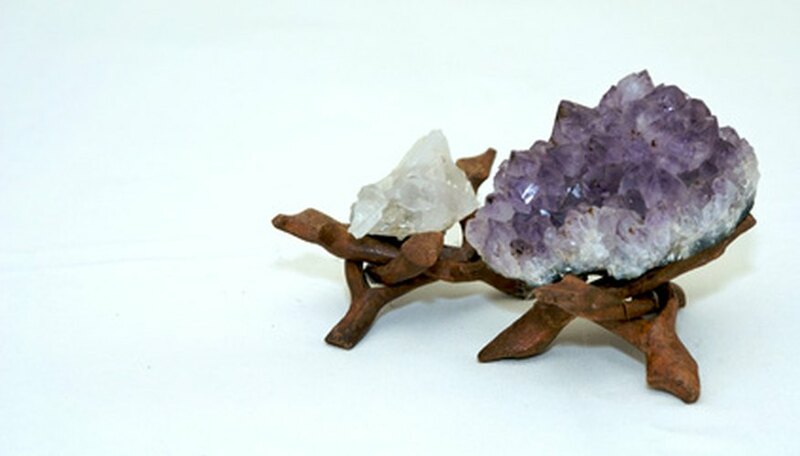 This will give the crystals a starting point for growth. Tie a seed crystal onto the end of the string. Larger crystals will grow using the seed crystal as a starter. A seed crystal can be made by saturating a small amount of hot water with salt, pouring onto a dish, and letting the water evaporate. Loosely place a coffee filter over the jar to prevent dust and dirt from entering. You will be working with very hot water. Be careful not to spill it or bump into the hot pan or burner. Supervise young children around the stove and hot water. Bollin, Penny. "How to Make Crystals Out of Salt." Sciencing, https://sciencing.com/make-crystals-out-salt-7374092.html. 24 April 2017.